In 2019, we desperately need to honor truth, so I’m going to post a #noveladay on twitter. My recommendations will include old favs and new finds. And I’ll archive additions to the list once a month here. The most useful role of fiction in our age may be its power to foster empathy and understanding. And we certainly need more other awareness in 2019. So I hope you’ll join me in sharing your favorite novels, especially those new finds from fresh and treasured voices that deeply move you. January 1st: Today’s #noveladay is a brilliant story that reimagines Hamlet from the point of view of an unborn child. Ian McEwan’s NUTSHELL is masterful. I rarely reread books, even those I’ve loved, but I’ve enjoyed this slim powerhouse a few times. Highly recommend! January 3rd: Check my twitter feed under #noveladay for more picks. I’ll update and archive this list periodically here. Decades of research also show that when parents and teachers partner together around social-emotional learning, teens are better positioned to reach their greatest potential as healthy, active members of the community. There’s simply no doubt that this kind of involvement is directly linked to teens having higher self-confidence and more positive attitudes toward school and home. From better attendance, higher grades, and higher graduation rates, to increases in prosocial behavior and decreases in problem behaviors, the most consistent predictor of high academic achievement and positive social adjustment for teens is engaged parents and teachers. The magic pixie dust for how to reach lots and lots of readers may be elusive, but two things about book discoverability are indisputable: readers are always on the look out for good stories and writers are increasingly desperate to find their people. While the definition of crossover fiction within the industry is debatable—on this readers, writers, agents, editors, and publishers can agree—everyone wins when a novel has ageless appeal. Some within publishing deem a novel “crossover” when it is written for children or young adults but attracts a healthy adult audience. The quintessential example being J.K. Rowling’s Harry Potter series. Others—mostly in the fields of public relations and marketing—consider a novel “crossover” when it is written for adults but young adults read and spread the word about it. Think—George R.R. Martin andGame of Thrones. Two things about book discoverability are indisputable: readers are always on the look out for good stories and writers are increasingly desperate to find their people. Many classic stories can be described as having crossed over either way. When I was coming into my own as a young adult reader, I loved (and still do) The Count of Monte Cristo by Alexandre Dumas and Rebecca by Daphne Du Maurier, both novels written for adults. And regardless of when you came to experience it, who among us isn’t still fascinated by the timeless Lewis Carroll novel written for children, Alice in Wonderland? I don’t necessarily recommend that writers set out to write a novel with appeal to adult and young adult readers. What I have been known to harp on in the writing classes I teach, is to build story worlds where something is at risk for well-developed, authentic characters. What’s at stake can be subtle—yet still powerful—like in Alice McDermott’s masterpiece Someone. Or emotionally quiet but nonetheless impactful like in Ann Packer’s The Dive From Clausen’s Pier. Stories need not contain a car chase or a gun going off to draw readers in or keep them reading. Tension in fiction is created in a variety of ways, but always includes compelling characters, fresh plot lines, spot on pacing, charged dialogue, and settings that support the central conflict of the story. The kind of intense curiosity that keeps readers turning pages lends itself quite well to uncovering the holy grail of book marketing—word of mouth. Readers love nothing more than to share with other readers books that have changed their lives. And I don’t know a writer who isn’t in search of a broader readership. Still crossover fiction has yet another powerful purpose which is to get readers within families reading together. Research shows that when parents read and discuss fiction with children of all ages, they positively impact the development of the core competencies of social-emotional development, which includes nurturing self and social awareness, developing relationship skills, and influencing responsible decision-making. Reading fiction impacts the development of empathy and resilience too, and it enhances readers’ ability to navigate complex social relationships. Can you think of a better way to parent our teens than to foster connections with each other through literature? This post would not be complete if I didn’t share some wonderful crossover fiction for you to add to your Goodreads shelves. Below you’ll find recommendations for family stories I’ve enjoyed with crossover appeal. Want more? Check out this terrific list by genre of fiction with crossover appeal from @bookaddictguide. 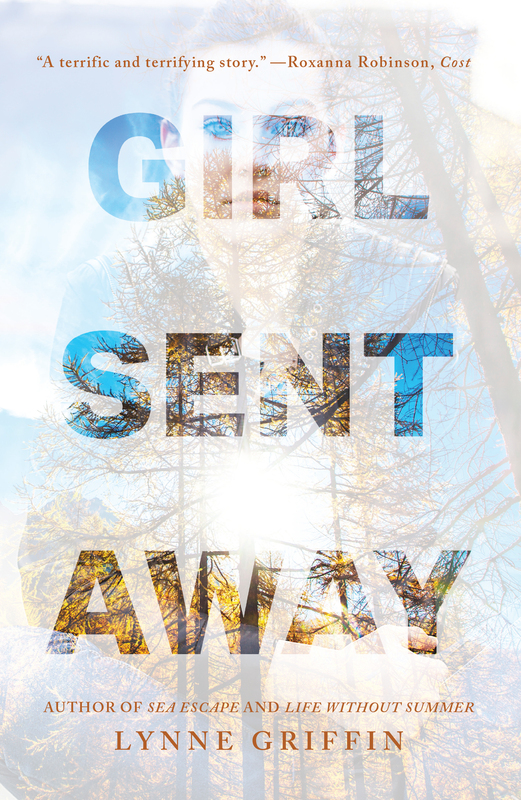 With its young heroine and sensitive examination of adolescents in crisis, Girl Sent Away would do well to also find a teen audience. 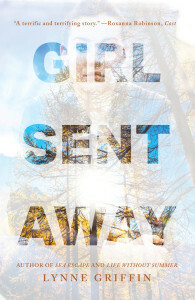 Also coming in November is LET’S TALK ABOUT IT: ADOLESCENT MENTAL HEALTH, a companion guide for reading GIRL SENT AWAY. Collaborate with Lynne to engage your community of parents, teachers, and teens in this important dialogue about preventive mental health. To invite Lynne to speak at your school, organization, or book club, email events@LynneGriffin.com. Since the moment my husband and I announced our engagement—twenty-six years ago—I’ve heard just about all the marriage advice imaginable. “Marry your best friend.” “Marriage is work.” “Don’t go to bed angry.” Cliches without specifics didn’t resonate with me then, and now that my daughter is about to marry, I’m thinking long and hard about the pearls of wisdom I want to impart to her. While there are lots of terrific nonfiction self-help books aimed at couples starting out, getting hitched, navigating rough patches, or even contemplating calling it quits, for the deep dive on marital relationships, I turn to fiction. There’s no limit to the power of storytelling to teach. And since there are many right ways—and wrong ways—to nurture a relationship, novels provide complex and meaningful examples of what’s in store once the honeymoon is over. One story I return to again and again is Wallace Stegner’s Crossing to Safety. I nearly sigh at the sound of the title. It’s touted as a novel about the alchemy of friendship, and it is, yet it’s also a glimpse inside two very different marriages. Sid and Charity Lang befriend Larry and Sally Morgan while both men are on the professor to tenure track at a small mid-western university. The portraits of these relationships offer much food for thought about how couples care for their relationships in the face of personal desires for independence. Stegner writes, “It all comes back in broken scenes,”highlighting one of Crossing to Safety’s strengths. It explores marriage in retrospect, over decades in the lives of its characters. Similarly beautiful is Stiltsville by Susanna Daniel. Set in the community of houses built on pilings in the middle of Biscayne Bay (hence the book’s title) readers watch the marriage of Frances and Dennis DuVal unfold. Against a landscape that mirrors the calm and storm of relationships, Daniel paints an authentic, heartaching view of what it means to make a commitment—and then struggle to remain true to it. One of the most poignant reflections I’ve read on this subject is I Married You for Happiness by Lily Tuck. This slim volume captures a wife’s remembrances of her husband and their forty three years together after she finds him in their home, dead of a sudden andunexpected event. As Nina waits by his bedside for help to arrive, she recalls the trials and triumphs of their long life together. A novel layered with romance and tenderness, tension and strife, this fictional story so closely resembles real life it reads like a memoir. As with literary villains who are painted all bad, I’m not interested in reading only about overly dreadful marriages. I want characters and their interactions to be truly complex and multi-faceted—you know, like real relationships. Here are some more top picks in the category: reflections on marriage. A character-driven story about a painter and a writer navigating the intimacies and betrayals of their relationship—their art and mid-life. I fell in love with Black’s writing when I read her short story collection, If I Loved You I Would Tell You This. Verdict: read both! This compelling novel ponders the question, what if you longed to be out of your marriage and then suddenly your wish was granted? Reminiscent of the novels of Anne Tyler and Elizabeth Berg, I recommend this one often because of it’s originality and Bauer’s effortless storytelling. Book enthusiasts love to compile “best of” lists and post them at the end of December. Every year I consider doing it too, but when I sit down to write, I find myself bristling much like Emily Nussbaum did over creating a top ten list of TV shows. Not only is it impossible to have read all the novels published in a given year, but it feels as silly as comparing paella to democracy. I just don’t think you can set anavant-garde novel about marriage like Jenny Offill’s Dept. of Speculation against a robust family saga like We Are Not Ourselves by Matthew Thomas. You may have connected to one more than the other but in fiction all things are not equal, which means neither novel can really be deemed better than the other. Reading (and loving) a story, its’ plot and its’ characters, is a subjective experience, one that engages the head and the heart. Any fiction round up should acknowledge that the list is merely one person’s opinion. The goal instead being to contribute to the conversation about well-written stories—ones that buried themselves in the collective unconscious and those little gems that surprised and delighted perhaps only you. Remember Me Like This by Bret Anthony Johnston—This novel takes wishful thinking about family reunification after abduction and turns it on its head. In the aftermath of Justin Campbell’s disappearance, the boy’s family is justifiably shattered. But when he returns to them four years later, mother, father, brother, grandfather—and even Justin—should be able to resume life as they once knew it, right? Not so in this emotional novel about a fractured family and how hard it is for them to hold on to each other once again. This literary page-turner gripped me from chapter one, and will stay with me for a long time to come. Orphans of Race Point by Patry Francis—I wrote about this lovely novel in an earlier Lit Chat post about father/daughter novels. Booklist liked it too, giving it a starred review: “…this beautifully wrought novel is a sometimes wrenching but ultimately uplifting story of murder and betrayal in the face of faith, family in its truest sense, and—most of all—love.” I enjoyed everything about this story set in Provincetown Massachusetts, taking place over three decades. I found the characters fully drawn and their struggles both personal and universal. Ghost Horse by Thomas H. McNeely—This award-winning novel does an amazing job of exploring what family means in the context of what’s happening in society. In this case, set amidst the social tensions of 1970’s Houston, Ghost Horse tells the story of eleven-year-old Buddy Turner’s shifting alliances within his fragmented family and with two other boys–one Anglo, one Latino–in their quest to make a Super-8 animated movie. As the novel unfolds, readers learn the secrets Buddy’s parents are keeping from him and the compelling narrative urges readers to consider the impact of putting a child in the middle of adult issues and problems. 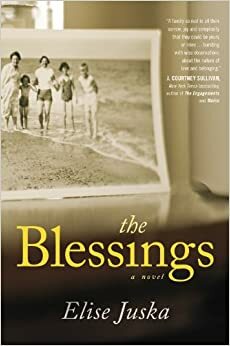 The Blessings by Elise Juska—A novel in stories about the interior world of a close-knit Irish-Catholic family and the rituals that bind them. Told through the eyes of mothers and fathers, uncles and cousins, readers share the joys and sorrows of characters who leap off the page. Juska depicts family life in honest and raw ways. So much so that by the novel’s end, I longed to be part of the family, joining into the Blessings’ celebrations and grieving alongside them at the loss of beloved relatives. This gem of a family novel is not to be missed. Girls I Know by Douglas Trevor—Wonderful writing, relatable characters and rich in theme and premise, this novel is a pitch perfect read about the families we have and the families we make. Veronica’s Nap by Sharon Bially—A charming, beautifully written examination of one woman’s identity crisis after moving to Provence and having twins. Interesting portrait of the sometimes wide chasm between motherhood and artistic pursuits. The Silent Wife by A.S.A Harrison—Better than Gone Girl, this novel takes a look inside a very dark and troubled marriage. The Last Goodnight by Emily Listfield—Compelling mystery about a woman leading a double life and the impact of her lies on her present husband and baby. LYNNE GRIFFIN is the author of the novels Life Without Summer (St. Martin’s Press, 2009) and Sea Escape (Simon & Schuster, 2010). Her short stories and essays have appeared in Parenting Magazine, The Drum Literary Magazine, Brain, Child, The Writer, the Boston Globe, the Boston Herald, Huffington Post, and more. Lynne teaches family studies at the graduate level at Wheelock College, and fiction at Grub Street Writers. In partnership with Grub Street, she has created the strategic writer program called Launch Lab, for soon-to-be-published authors. Connect with Lynne on twitter @Lynne_Griffin or at her website, LynneGriffin.com. In May I had the honor of speaking at the American Montessori Conference in Dallas alongside the remarkable Temple Grandin, author of many nonfiction books, including The Autistic Brain. She mesmerized the audience, sharing anecdotes about her childhood and how her insightful mother nurtured her at a time when little was known about autism. Her real life stories stole my heart, and got me thinking about the fictional ones I’ve been impacted by over the years. I’ll admit I was late to the game reading The Story of Edgar Sawtelle by David Wroblewski. I tend to shy away from phenoms du jour, but my daughter kept putting the tome on my bedside table until I had no choice but to acquiesce. Ten pages in and I was as hooked as the rest of the world with this gorgeous novel loosely based on Shakespeare’s Hamlet, about a mute boy, his dogs, and his search for the truth about his father’s murder. The Christian Science Monitor said of the novel, “Edgar might be silent, but his story will echo with readers for a long time.” I couldn’t agree more. Another deeply moving story is the powerful Eye Contact by Cammie McGovern. This hypnotic thriller centers on the disappearance of two children into the woods behind their school. Hours later a young girl has been found murdered and the only witness is a child who cannot tell what he saw. The child is autistic, and so begins his mother’s quest to give voice to the tragedy her child endured, and to find peace for the girl’sparents who desperately need to know what happened to their daughter. All of these novels are as well-plotted as they are rich in authentic character details. Each hero goes beyond the stereotypical or sensational, working his or her way into our hearts because the challenges they face are both uniquely personal and universal. Readers will love them, not because of their special needs, but because they think and feel, as all of us do, about loving and being loved, about what it means to be part of a family. Readers will turn pages all the faster when these memorable characters are in jeopardy, and they’ll mourn each book’s closing despite their hero’s triumphs. All of these selections are must-reads because the stories are so compelling and the writing so beautiful. What stories/novels have you read featuring a special needs character that made a difference in your life? Lynne Griffin is a nationally recognized expert on relationships and family life. She is the author of the novels, Sea Escape (Simon & Schuster, 2010) and Life Without Summer (St. Martin’s Press, 2009), and the nonfiction guide Negotiation Generation: Take Back Your Parental Authority Without Punishment (Penguin, 2007). Lynne teaches family studies and leadership at the undergraduate and graduate levels at Wheelock College in Boston. She recently completed a second year as visiting scholar of education in Singapore. Lynne teaches fiction writing at Grub Street Writers in Boston, and co-created an innovative, intensive program for soon-to-be-published writers called Launch Lab. Daddy is the first to arrive at the hospital after the birth of my daughter. He holds the tiny child so close and for so long that when others visit they claim he is keeping her for himself. Three years later, he is first to arrive after the birth of my son. This time he bears gifts. An impossibly small Red Sox jersey and baseball cap. There are promises of evening games at Fenway when my boy is old enough, and afternoons of playing catch in Grandpa’s backyard. All of these images are fantasy, little fictions I let my mind rest on when I miss him. My father died when I was fifteen, which means a treasure trove of experiences have never been mine, and never will be. This may explain why I’m drawn to novels about fathers and daughters. Simple stories of love and encouragement and conflict-rich stories fraught with the misunderstandings and missed opportunities that are germane to family life. Who hasn’t idolized the confident and kind, Atticus Finch in To Kill a Mockingbird by Harper Lee? As the moral hero of Scout’s coming of age story, this father-daughter relationship is iconic, and the novel has clearly stood the test of time. Well-suited to this category is Richard Russo’s Empire Falls. Miles Roby is a down-on-his-luck dad living in the Maine town he grew up in, contending with his divorce, and trying to raise his beloved daughter Tick. From the town’s priest, to the high school principal, to the waitresses at the Empire Grill, the characters that fill these pages are beyond memorable, and the plot twists and turns reminiscent of another of my favorite town-centric stories, Peyton Place by Grace Metalious. A new novel that explores this special bond is The Orphans of Race Point by Patry Francis. Motherless Hallie Costa has an enviable relationship with her father Nick. In fact, this loving dynamic between father and daughter is juxtaposed against an ill-fated love affair set on the coast of Massachusetts, in the colorful Portuguese neighborhoods of Provincetown. Spanning thirty years, this page-turner explores what it means to be family and what it means to have faith. Since compelling fiction rests on high degrees of tension–and not all relationship stories are cherished ones–I’d be remiss if I didn’t include the novels that showcase a more tortured view of the father-daughter dynamic. A Thousand Acres by Jane Smiley is such a story. This extraordinary novel, set on a farm in Iowa is loosely based on Shakespeare’s King Lear and features three adult daughters coming to terms with a secret history of domestic abuse, generational gender roles, and the powerful forces of nature. Each time I reread this story, I find more subtle layers to reflect on, and always, writing that is both vivid and indelible. Next up father-daughter novels on my to-be-read shelf include: This Dark Road to Mercy by Wiley Cash and Claire of the Sea Light by Edwidge Danticat. Are there father-daughter stories that have shaped or entertained you? Are you looking forward to reading books on this topic this summer? I’d love for you to add to this list in the comments. Lynne Griffin is an author, speaker and contributing editor to LitChat. Read her full bio here. Follow her on twitter @Lynne_Griffin or visit her website, LynneGriffin.com. Editor’s Note: Patry Francis will guest host #LitChat on July 2, 2014 at 4 p.m. E.D.T. We read fiction to learn about things we do not understand. We read it to imagine lives unlike our own, or to commiserate with lives exactly like the ones that we are living. According to the National Institute of Mental Health (NIMH), more than 4 percent of all adults endure mental illnesses classified as serious. The number burgeons when you add in episodic mental illness, and diagnostic mental health issues in children and teens. I don’t know one person—family, friend, or colleague—who doesn’t love someone who suffers with one or more of the most prevalent of these: depression, anxiety, bipolar disorder, schizophrenia, or psychosis. For when we share more openly, we judge less harshly. Scary numbers to be sure. And while there is certainly a place for the clinical literature in our reading piles, and myriad memoirs to lend readers’ insight, I believe reading novels on this theme and topic provides a unique opportunity to get inside the experience—and how it impacts family—without being prescriptive. This roundup would be incomplete if I didn’t include one of my favorite novels about family, and how grief can lead to profound depression. Ordinary People by Judith Guest, first published in 1976, is a story I’ve read countless times, and it opens with Conrad Jarrett, just released from a psychiatric hospital, deemed stable after an attempt to take his life. As this teen boy struggles to insinuate himself back into day-to-day dealings with friends, trying to be enough for his mother who’s still immobilized after the death of her other son—Conrad’s brother, Buck—readers can’t help but route for him to reclaim his life and heal. To rid himself of the guilt that led him to a place of deep self-loathing. This novel, which has stood the test of time, highlights the power of good mental health care and counseling. No doubt these are heavy themes to read about. Yet it’s to the most emotional places we dare to travel that true compassion can be found. I invite you to add to my list of novels about mental health and illness those that have impacted you. For when we share more openly, we judge less harshly. 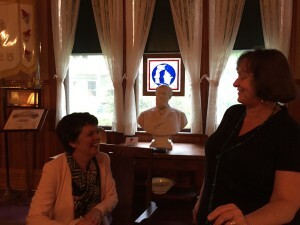 Lynne Griffin is a contributing editor of LitChat. Read her complete bio here.